I’ve been making paper cut signage for my market stall inspired by the class I took with paper cut artist extraordinaire Miso last year. 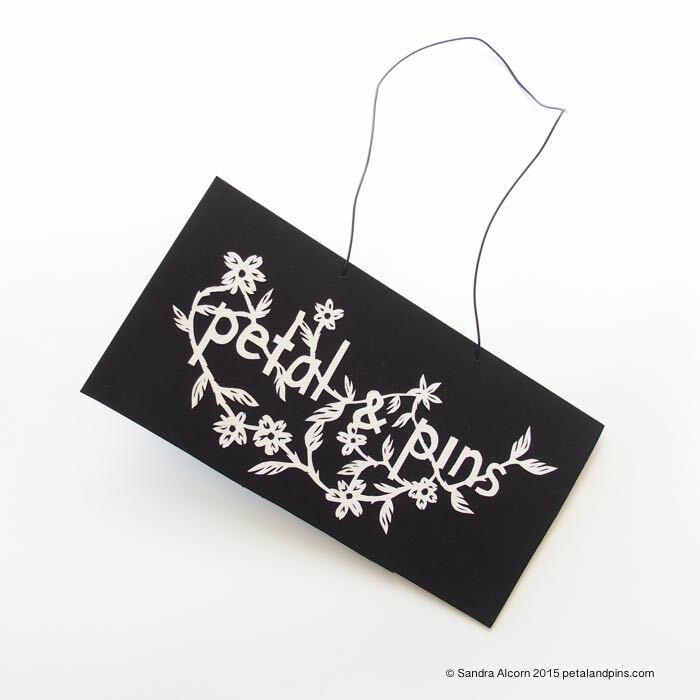 Mr Petal & Pins translated this design into a rubber stamp for paper bags. 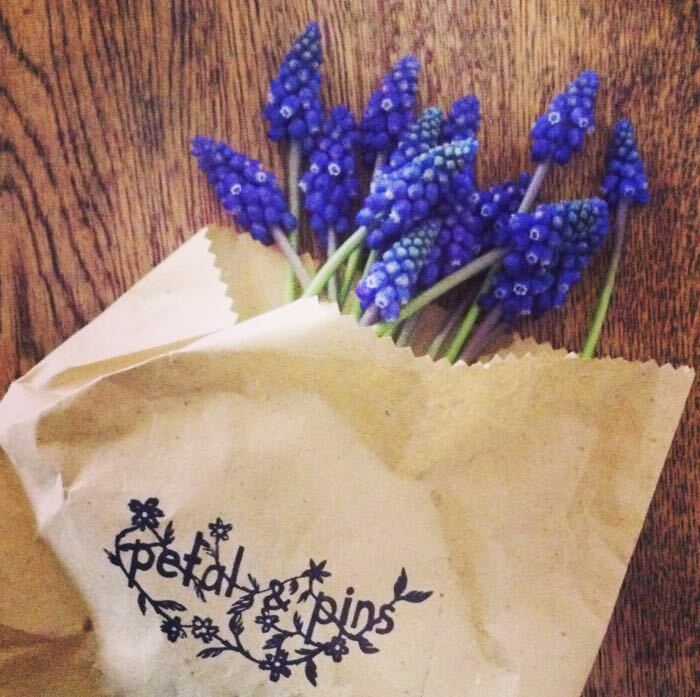 The stamp arrived just in time to use for the Spring markets, along with an abundance of grape hyacinths in the garden to decorate my stall and create some new dresses for my Garden Fairy’s Wardrobe. Now we’re making plans for Xmas markets including traveling to Sydney for one! You can find a list of market dates and card stockists here. 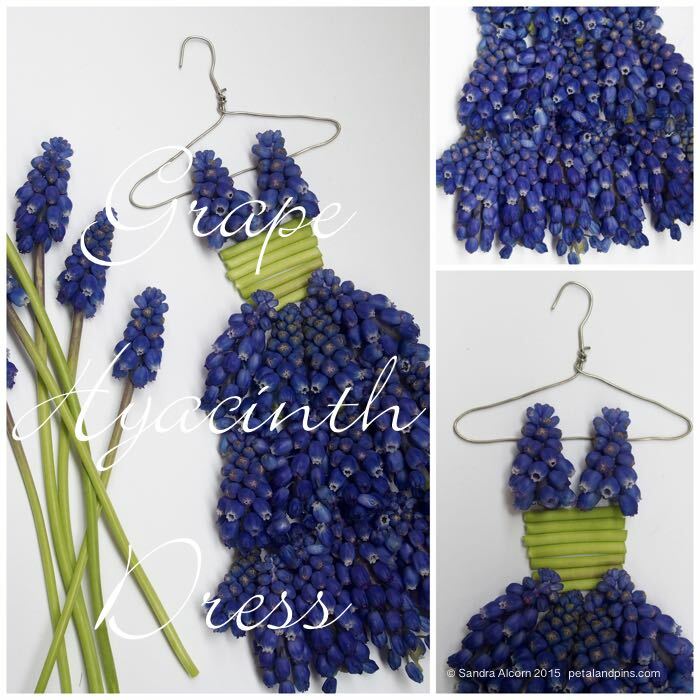 Grape hyacinths just make my heart smile! And your new stamp is lovely. Thank you Jonelle! They are such a ‘happy’ flower – they start to appear in my garden at the end of winter and they make me smile too and lift the spirits that warmer weather is coming. So lovely! Like a dress made of jewels! Love the sign, stamp and dress! I do hope that you make it up to Brisbane for a market sometime. Thank you! Any suggestions for great Brisbane markets? Thanks Chez I will look into the winter one ( nice excuse to escape a Tassie winter!) have applied to Melb Finders Keepers before – so hard to get into – maybe I’ll try the Brisbane one.